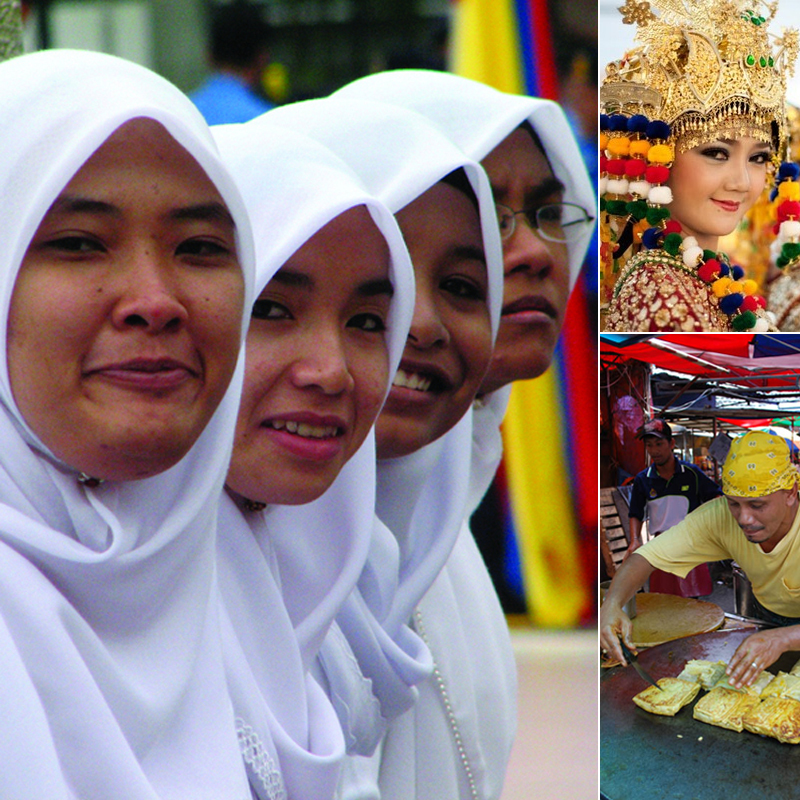 Overview: The Malay peoples live mainly on islands or peninsulas. They are one of the greatest seafaring races on earth, whose ancestors came from the island of Taiwan and migrated south to what we now know as the Philippines, Malaysia and Indonesia. The related Malagasy peoples sailed west to the African island of Madagascar, while the Polynesians moved east across the Pacific Ocean as far as the now Chilean-ruled Easter Island. The sea (and migration across it) remains a vital part of their cultures.